Hannibal Melzo-Frenkendorf rail service keeps growing: born in 2013, starting from December it will provide daily frequency workdays, with five round trips. 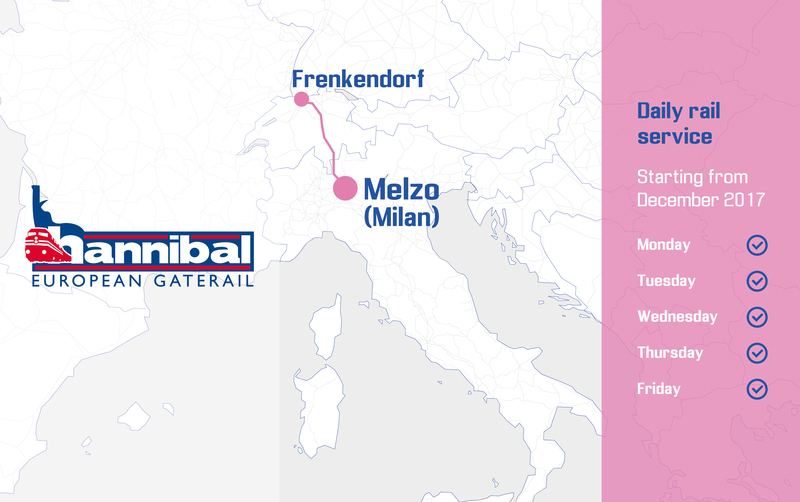 Hannibal, Contship Italia Group’s multimodal transport operator, is proud to announce a substantial increase in the frequency of the Melzo-Frenkendorf rail service, from three to five round trips starting from Monday December 11th. The service, born on 2013 to connect Contship intermodal network to the Swiss hub located in Basel region to serve the central European markets, grew in 2014 (second circulation) and 2017 (third circulation). With this upcoming frequency upgrade, valued customers will benefit from daily departures, from Monday to Friday, in both directions. This important upgrade once again confirms Contship commitment to strengthen the intermodal connectivity of Italian ports, and the efficiency of the Southern Gateway option; Swiss operators can continue to diversify and evolve their supply chain, reducing end-to-end transit times and associated inventory costs, choosing at the same time a reliable and sustainable transport solution.